1. 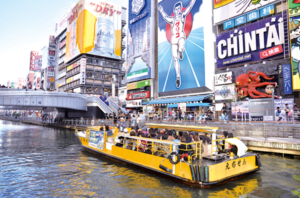 Have you tried the Morning Commute in Japan? 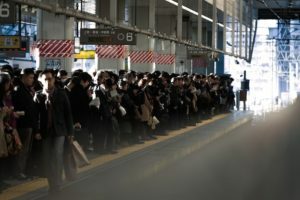 If you are living in Japan, you may have faced the morning commute where people gather at the train station to go to work. The train station can be a very stressful and chaotic place as you’re squeezed into uncomfortable positions in the train carriages or get lost among the crowds. 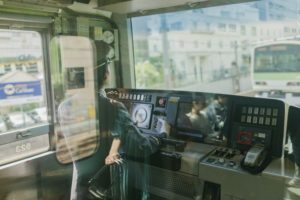 Japan is known around the world as one of the worst countries to take the train commute during rush hours, and this is no lie as many foreigners are shocked when they experience first-hand the sheer chaos that can come from the signs, the people, and the complicated train system of Japan. Despite the terrible commute in some parts of the city, this does not happen everywhere in Japan. If you are living in the countryside, you may have gotten away without having to deal with the terrible rush-hour commutes. Instead, people who live in the countryside will often take a vehicle when they go to work, while those who live in the city tend to choose the train to go to work. The reason for this is because there aren’t that many trains in the countryside to start off, with trains only passing one time every hour or a couple of hours. In this case, people choose not to use the train when they go to work because it’s more of an inconvenience and a higher chance that they’ll be late for work. People living in the city, however, tend to take trains rather than vehicles because trains pass through the station every few minutes opposed to every few hours, not only that, but the city tends to be extremely crowded with minimal amounts of parking lots available. 2. What Times are the Busiest? What time would you guess is when trains get the most crowded in Tokyo? In the morning, or perhaps later in the evening? Most companies in Japan start their workdays from 9 A.M., so the time when the trains are most crowded in Tokyo is usually around 8 am. Although it begins to get crowded from about 7 A.M., 8 A.M. seems to be the peak of the rush hour. It becomes so crowded that most people struggle to stand comfortably, and some people are barely even touching the ground! To avoid this situation, I recommend that you leave early and arrive on time. Now how do you think the rush hour is in the evening? Is it similar to how it is in the morning? It isn’t as terrible as it is in the morning, but there is still a pretty intense rush hour in the evening as well. 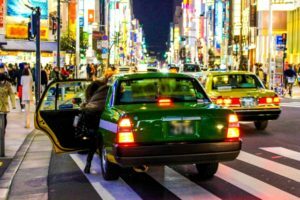 Most companies finish working hours around 5 pm in Japan. 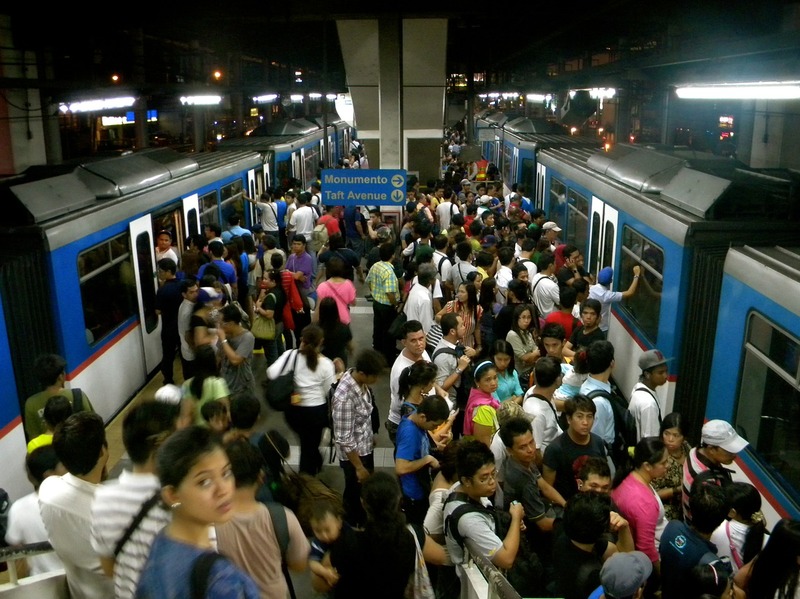 Therefore, from 6 P.M. to 7 P.M. is the peak hour for the trains to be congested. It can be stressful having to get into a crowded train both in the morning or the evening, so if it’s possible, I would recommend switching your work hours around to avoid these times if you can. 3. 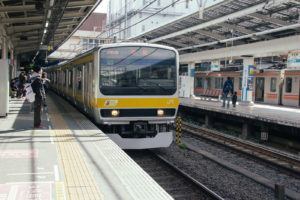 What is the Busiest Train Line in Tokyo? There are 31 main train lines in Tokyo, and Tokyo Metro Tōzai Line is the busiest. The congestion percentage of this train is a whopping 199%. That doesn’t even sound possible, but that explains why most people struggle to place their feet on the floor. 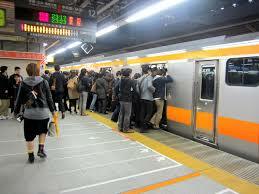 If you visit during any of the rush hours, you will see train conductors pushing people to squeeze into the trains to be able to close the doors. Unfortunately, many people will choose to squeeze together rather than wait for the next train so that they aren’t late to work. 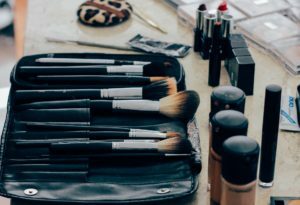 Of course, there are a few unforeseeable reasons that will cause people to be late for work, such as traffic accidents, the trains running late, and other emergencies concerning the train stations. 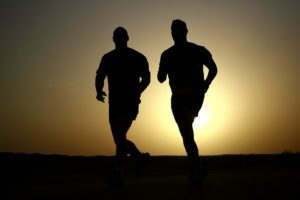 But if the reason for you being late is because of the overcrowded trains and waiting for the next train, most companies will not let that be a valid reason to arrive late for work and you may face some punishments. 4. Which Train Carriage should I get into? Usually, you won’t need to worry about which carriages to get into, except for the all-female-carriages, but aside from that, you will be able to ride any of the carriages freely and arrive at your location safely. There are also some carriages that are considered an upgrade, and you will be required to pay an additional fee once you ride them, so be sure to check whether or not the carriage is normal or an upgrade before getting on. 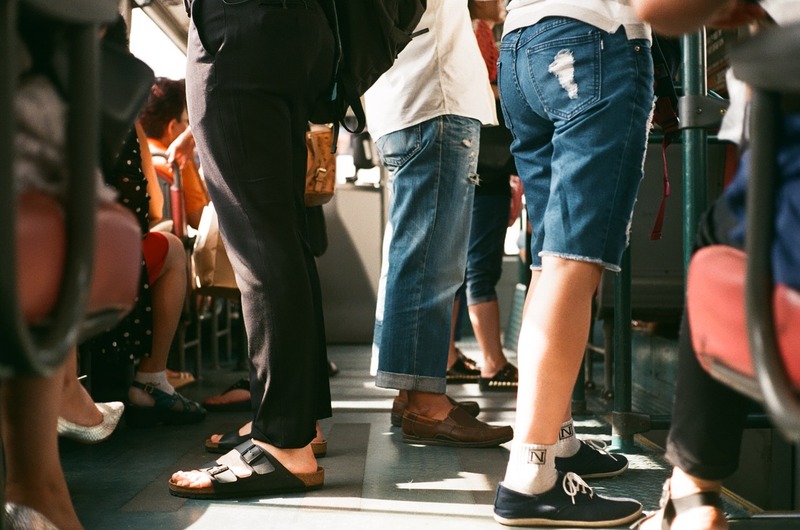 If you would like to avoid facing crowded carriages, I would recommend that you take the one which is the farthest from the stairs, elevators, or escalators as these tend to be where people gather the most. Express trains also tend to get crowded more quickly than Local trains because they stop at the main stations while the Local trains will stop at every station in between the main stations as well. So if you aren’t in that much of a rush and want to ride a train that is less crowded, consider riding one of the Local trains instead. 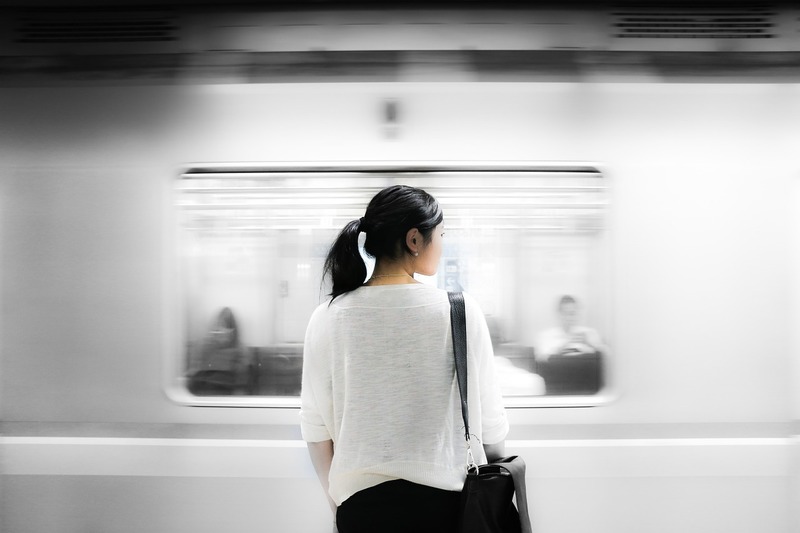 There are Female-Only-Carriages during certain hours of the day where women can ride the train and feel safe during these crowded times of the day. 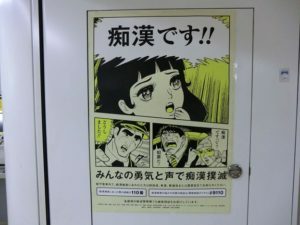 These carriages will often have posters or stickers with the words “Women Only” on the windows specifying what times of the day that the Female-Only-Carriage is in effect. If you are male, please be careful not to walk into one of these carriages during the Female-Only hours to avoid being called to the station. Do you feel prepared to ride the trains during rush hour? 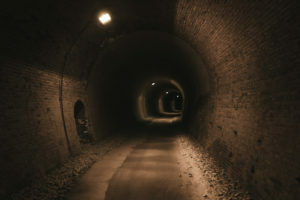 It might feel scary going to the train station during one of these congested times, however, there are a few ways around these chaotic times such as adjusting your schedule to avoid the rush hours, taking the Local trains opposed to the Express trains, riding the train carriages farthest from the stairs and elevators, or even taking a bus instead. Please be sure to check for any posters or stickers signifying whether a train carriage is Female-Only and during what hours the rule is in effect. If you realize you accidentally walked into one of the Female-Only carriages, don’t worry because you will be able to walk into the neighboring carriages even as the train has begun moving.